Is there a better alternative to DrMac? Is DrMac really the best app in Personal Info Managers category? Will DrMac work good on macOS 10.13.4? 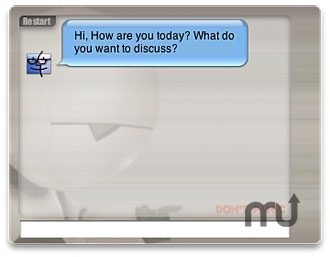 DrMac is a widget which simulates a psychotherapist. He is extremely dumb, but that can lead to quite funny dialogs between you and him, so DrMac is perfect for lonesome working periods at your computer (also in the night). DrMac needs a rating. Be the first to rate this app and get the discussion started!